From bunch to bottle, that’s Giampaolo’s motto. Giampaolo’s original Sagrantino, the Colle Grimaldesco. Il Padrone delle Vigne, a frank and honest wine. The dream of a great white wine from the hills of Sagrantino has been rediscovered and finally realised in this Trebbiano Spoletino – Adarmando. 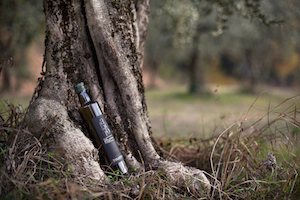 The Campo alla Cerqua has a joyous and very aromatic complexity. The Colle alle Macchie wine is intense and powerful, offering incredibly complex aromas and flavors. The fusion of traditional grapes, Sangiovese and Sagrantino – along with the precious input of Barbera, ensure this wine has the makings of a future Montefalco classic. Sagrantino Passito represents a sort of rare and charming oenological Sagrantino pearl.